This article was in the latest issue of the Wyoming Cultural Trust Fund newsletter. What happens when you have a film premiere event that sells out quickly and you have a waiting list of a 100+ folks…well, if you are Jennifer Tennican and the Jackson Hole Historical Society and Museum, you hold a Second Premiere! Okay, technically it is called a second screening. This locally produced film will be shown at 8 p.m. on September 8 at the Walk Festival Hall in Jackson, as part of the Jackson Hole Arts Festival. 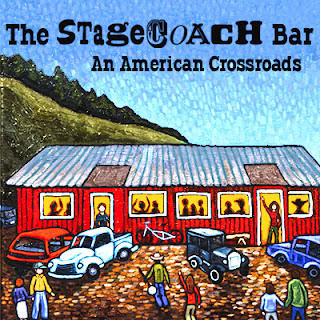 “The Coach: An American Crossroads” is a documentary film on the renowned Stagecoach Bar which serves as a prism projecting 70 years of Jackson Hole’s cultural evolution. The film introduces a multifarious cast, including the beloved Stagecoach Band, which has been serving up musical entertainment every Sunday for more than 40 years. Meet the Stagecoach Bar’s first owner Walt Callahan and attend his rowdy rodeos beginning in the 1940s. Then roll through the decades with ranchers, hippies, second homeowners, skiers, downhill bikers, Sunday night toe-tappers, Stagecoach Band members and Disco Night dancers, who all mix it up at this unpretentious and cherished community watering hole. The high-definition film features rarely seen and new discovered historic footage and photos along with interviews from everyone from old timers to newcomers to Western scholars. The WCTF is proud to have helped support this film with a grant to the Jackson Hole Historical Society and Museum. Additional funders include the Wyoming Arts Council, the Wyoming Humanities Council, the Wyoming State Historical Society and the Wyoming State Historical Records Advisory Board. Tennican donated her $25,000 prize money from the 2011 Wyoming Short Story Film Contest sponsored by the Wyoming Film Office and the Wyoming Office of Tourism for this project. In addition to grants and prize winnings, over 200 individuals, foundations and businesses have supported the project through tax deductible donations.